The pig industry has produced some new materials urging the general public and farmers to do everything to keep African Swine Fever (ASF) out of the UK. ASF was recently discovered in the Czech Republic, with more than 60 cases now confirmed, all in wild boar and all in the Zlin region in the east of the country, according to Pig Progress. The Czech minister of agriculture has called for hunters to actively shoot wild boars in an attempt to stop a further spreading of the virus, according to Radio Prague, while pig breeders are being required to meet strict hygiene guidelines. The disease is also circulating in other eastern European countries, including Russia, Lithuania, Ukraine and Poland in wild boar, backyard pigs and commercial farms. 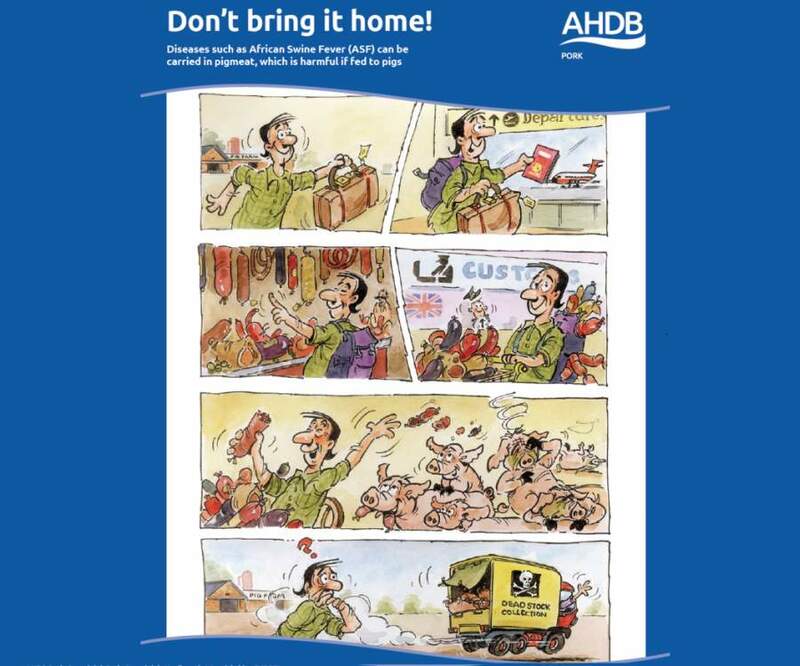 AHDB has launched some new materials to reinforce the risks to the UK industry and to ensure the virus is not brought into the country via meat. The National Pig Association (NPA), the country's leading pig industry voice, has also warned of the dangers of wild boar in the UK. Survey figures last year estimated there were 1,562 feral wild boar roaming the forest of Dean, which is near Gloucester, with populations spreading to new areas. NPA chief executive Zoe Davies said: “Wild boar have played a major part in spreading African Swine Fever in Eastern Europe and this highlights once again the need to ensure we have robust control measures in place to prevent our wild boar populations spreading out of control. “If an exotic disease like ASF got into the UK’s wild boar population, it would become almost impossible to prove that the disease had been stamped out. This would wreck our burgeoning export market, now worth £350 million a year, with devastating consequences for the industry.